Take Control of any Situation - Any Time - Any Place - With Your Own Custom-Designed Talismans. For the Very First Time, We Show You How! Despite the undoubted effectiveness of Talismans, their true power has remained hidden for many decades; now, for the VERY FIRST TIME ANYWHERE, master Occultist Carl Nagel shows and teaches you, step-by-step, how you can put the astounding, untapped power of TRUE Talismans to work in your own life. This extensive (some would say definitive) book contains over a hundred pages, packed with some of the most powerful Magickal instruction ever released. Whether you are looking to increase your wealth, improve your situation at work, or attract the man or woman of your dreams, there is a section of this book to help you achieve your goal! 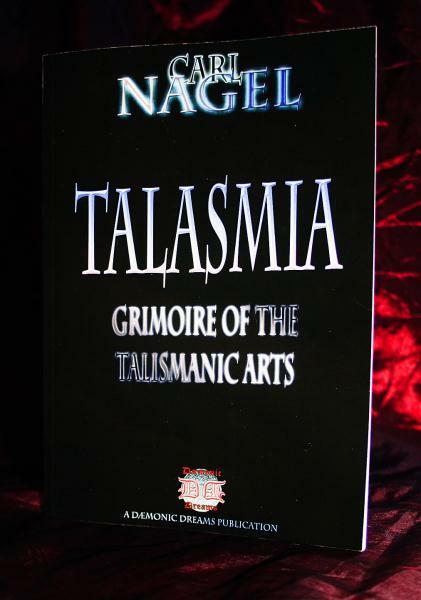 Inside this remarkable grimoire, you will find Talismanic instruction gathered from the four corners of the earth, and super-charged for YOUR personal use! You'll learn how to easily and simply construct your very own, fully-personalised Talismans, with Magickal knowledge originating from Egypt, Greece, and Rome. Also included are Talisman templates from the dark depths of the Goetia, the notorious Black Pullet, and ultra-powerful Planetary forces - all ready to be put to work for YOU! This book is available NOWHERE ELSE, and is sure to sell out quickly - grab your copy NOW, before our stocks are gone!